Get the right price at the right time! we now provide price on our website for standard and configured products - without any registration or log-in! Net prices are available for registered customers. Even faster! Find & Manage your projects in your personal account. Our Live Chat* is an internet-based service that allows you to communicate with our experts in real time. You can send and receive messages, or attachments, in real-time, FASTER than an email response! Our available Technical Experts are ready to help you to find the product or solution you need! *Live Chat is currently available on the German and French website. A SIMPLE WAY TO DELIVER WINNING PROPOSALS! Enjoy the feature to create proposals and custom quotes in minutes. Just enter some basic information and in just a few clicks, you can receive an instant quote and save time. 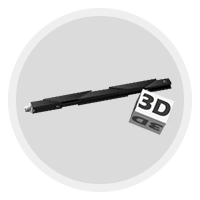 Try our 3D Configurators without registration! Subracks, also known as a card cages, are used for reception of printed circuit boards (PCBs) in the 19” euroboard form factor or 19” plug in units (PIUs) Designed to accommodate electronic equipment to be placed in a rack. Variety of individual components and possible assembly options with respect to size or EMC, shock and vibration requirement. Aluminum frame cabinets with attractive design, ideally suited for general electronics, test & measurement, audio/video and broadcasting applications. The modular concept ensures the highest flexibility on a single platform. 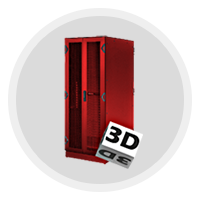 The welded frame and robust steel profiles allow the greatest range of applications : Data Centers, General Electronics, Transportation, Naval, Telecommunication, Security & Defense. Front Panels serve as the installation and the protection of the Printed Circuit Board in a subrack and a case and offer respective I/O options. The Wedge-lok series of retainers offers the highest locking force available for cold wall applications. They mount to PC board assemblies using screws, rivets or adhesive bonding and are then inserted into machined channels of cold plates or heat exchangers. 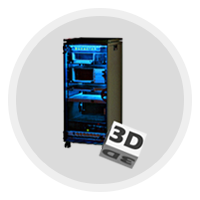 The wedge design holds the PC board firmly in place, providing high resistance to shock and vibration while producing maximum thermal transfer. of three-dimensional data models for creating a model with a 3D printer. 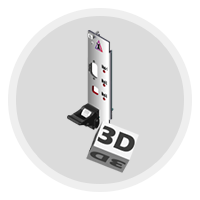 Print instantly and locally your modified front panel on YOUR 3D printer and validate the dimensions your design. By using your own 3D printer, you’ll receive the data at no cost; no license fees will be due. Modify components in YOUR CAD system and attach (upload) to changes to your configuration saved in your project list. 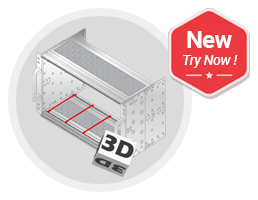 Add cut-outs, text, graphics or change the color directly in our online configurator or download the CAD Model and customize it in your own CAD system. Then upload the modified CAD model to your personal project list. In addition other files can also be attached (uploaded) to a configuration, for e.g. print data, further requirements or specifications. This option is only available for configured products and for registered users. ©2018 nVent. All nVent marks and logos are owned or licensed by nVent Services GmbH or its affiliates. All other trademarks are the property of their respective owners.